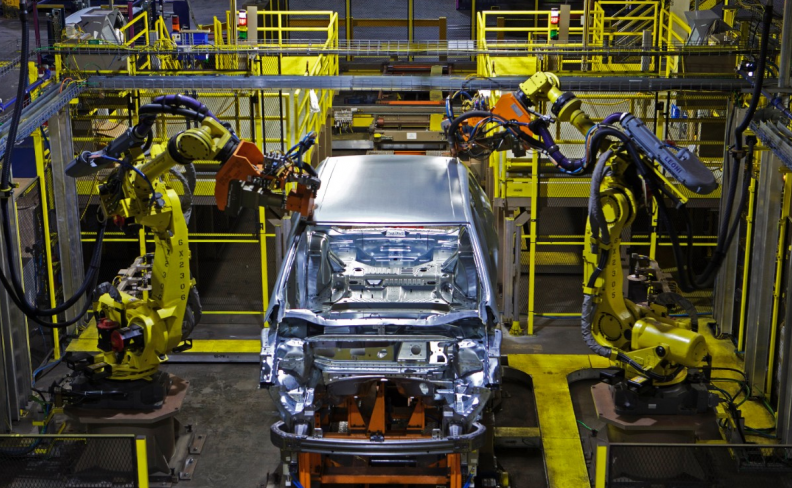 TORONTO — October manufacturing sales fell 0.4 per cent from September following two months of increases, with much of the decline attributed to temporary shutdowns at automotive plants in Ontario, Statistics Canada reported Dec. 15. Canadian manufacturing sales totalled $53.5 billion in October, down from a revised $53.7 billion in September, it said. Monthly manufacturing sales are based on factory deliveries to retailers and do not include consumer purchases. Ontario's manufacturing sales — which accounted for nearly half of the national total — were down 2.2 per cent to $24 billion, the biggest drop of any province, mainly due to declines in the motor vehicle, machinery and food industries. Quebec's manufacturing sales — which represent about one-quarter of the national total — were down 0.4 per cent to $13.2 billion. Sales in the motor vehicle industry fell 6.7 per cent to $4.6 billion, reflecting lower volumes due to shutdowns at some assembly plants. Sales volumes in the motor vehicle industry fell 7.6 per cent. A four-week strike at a General Motors plant in Ingersoll, Ont., where the popular Chevrolet Equinox is assembled, also affected production at supplier plants and was likely a contributing factor — although Statistics Canada didn't identify any specific disruptions. CIBC economist Nick Exarhos said the October report was significantly below expectations and "throws some cold water" on prospects for near-term growth. However, Exarhos wrote in a brief note to clients that "the temporary nature of the shutdowns leaves room for catch up later in the quarter." Four of 10 provinces showed advances, led by a 4.2 per cent increase to $6 billion in Alberta and a 2.1 per cent increase to $4.3 billion in British Columbia. Nova Scotia and New Brunswick also had month-over-month increases. Exarhos also noted that sales fell in only eight of the 21 industries tracked by Statistics Canada, but that they represent 56 per cent of the manufacturing sector. RBC economist Nathan Janzen said he was surprised by a 1.1 per cent drop in chemical sales to $4.2 billion, given earlier reports of higher chemical export volumes in October. He added that Canada's manufacturing sector faces challenges, particularly if there's a "bad" outcome from NAFTA negotiations between Canada, the United States and Mexico. "Nonetheless, there are also positives in terms of stronger growth in the U.S. industrial sector, which tends to import a lot from Canadian manufacturers, and a stronger domestic Canadian economy," Janzen wrote. "The manufacturing component of GDP probably declined about half a per cent in the month but offsetting strength in most services components should still allow for a modest increase in overall GDP in October to build on September's 0.2 per cent increase." The coming week will be busy for Canadian economists, with Statistics Canada set to release several important reports. The report on Canadian wholesale trade for October comes Wednesday, followed by the October retail trade report and November consumer price index on Thursday and the October report for gross domestic product on Friday. Statistics Canada routinely releases manufacturing sales data about six weeks after the end of the month.